Ok guys, after many, and I mean many failed attempts at the perfect homemade pizza recipe, I have finally narrowed it down to this one. Our family loves Supino Pizza in Eastern Market. As far as pizzas go, it’s at the very top of our list. With that being said, the kids bought me a new pizza stone for Father’s Day this year so our quest for the perfect homemade pie began. 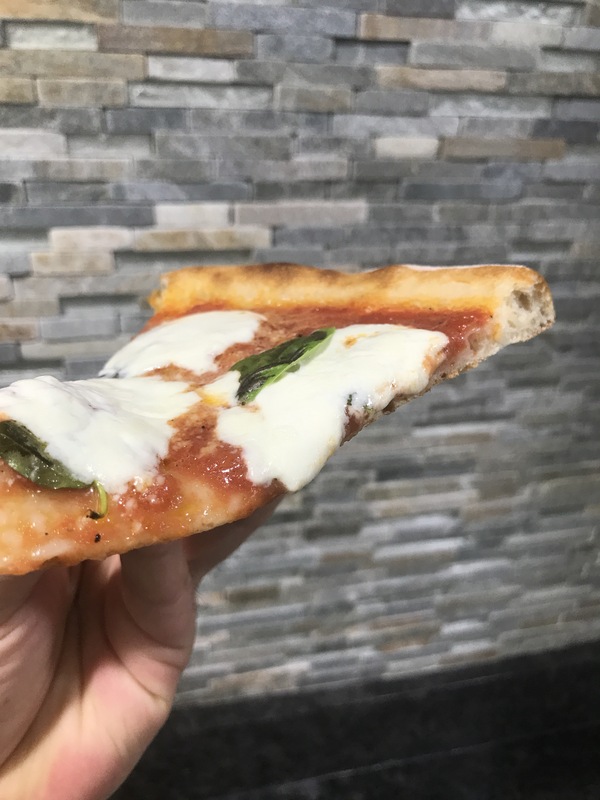 We just love a thin and crispy crust, with this recipe we finally nailed it! You can watch the YouTube video we uploaded to see how it should all came together, hope you try this at home for yourself! In a large mixing bowl, combine flour and salt. In a small mixing bowl, stir together 200 g (less than 1 cup) Luke warm tap water, the yeast and the olive oil, then pour it into the flour mixture. Need with your hands until well combined, approximately 3 minutes, then let the mixture rest for 15 minutes. Knead the rested dough for 3 minutes. Cut into 2 equal pieces and shape each into a ball. Place on a heavily floured surface cover with a dampened cloth, and let rest to rise for 3 to 4 hours at room temperature or for 8 to 24 hours in the refrigerator. 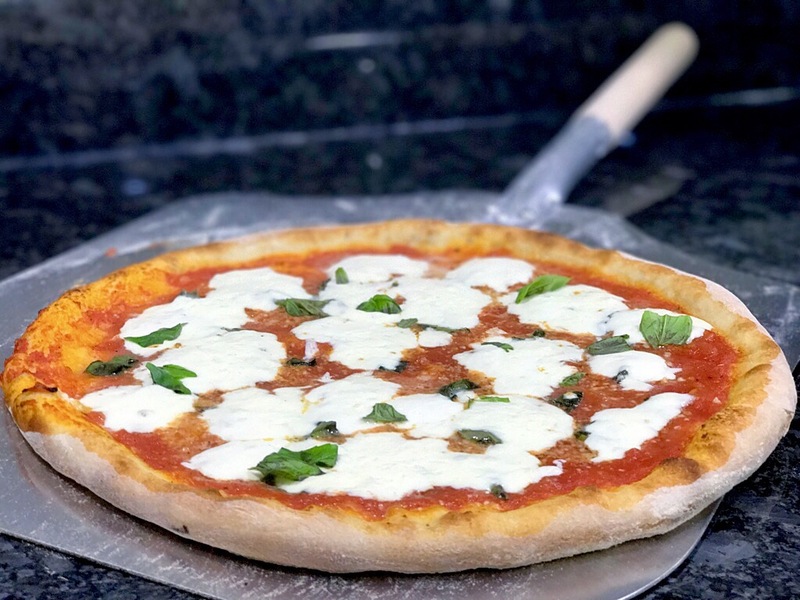 If you refrigerate the dough remove 1 hour before and allow it to come to room temp before you begin to shape it for pizza. And now for the easy and delicious Pizza Sauce! 1- 28oz. can of San Marzano whole peeled tomatoes. 1-1/4 teaspoons to 3/4 tablespoon of salt *see note below. Combine all the ingredients in a large bowl and squeeze together by hand till it comes together as a sauce. *Some salts have more sodium by weight in them so it depends on what salt you are using. When I use Diamond Krystal Kosher salt I use 3/4 tablespoons but if I’m using Morton Kosher salt I use less (1- 1/4 teaspoons). *Do not use a blender because if the seeds are puréed they will make the sauce bitter.